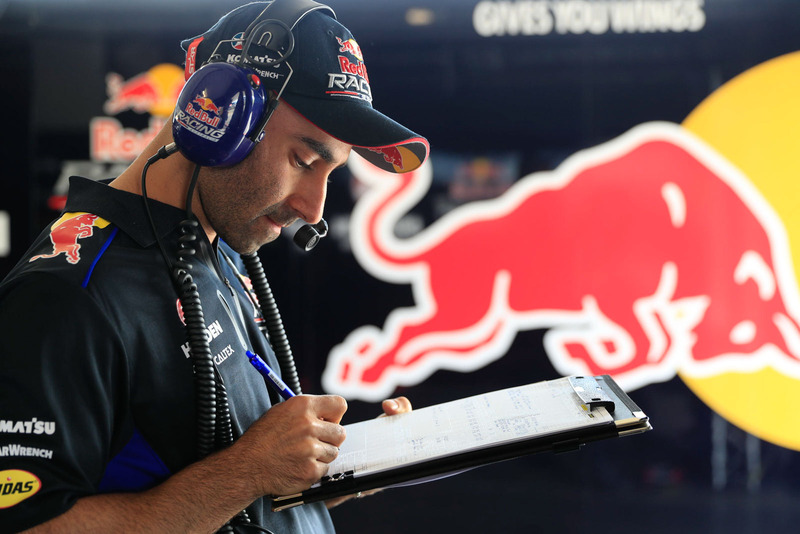 The enduros throw up more challenges than any other race in the season – that’s part of the reason Red Bull engineer David Cauchi counts the team’s 2014 Sandown win as one of his best. 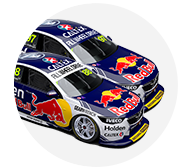 “2014 was a big achievement – we are one of only two cars to win the Sandown 500 from starting on pole,” he told supercars.com. Working as a team is key to tackling the races, given all the variables that need to be considered. “There are a lot of elements that go into winning an endurance race. You have to do a lot of forward thinking and you are making a lot more decisions over the duration of the race compared to shorter races. “You can make a call on lap 20 that changes what you can or can’t do on lap 80. So it is important to use the support crew around you to help make the right decisions. With a switch to racing on soft tyres this year and reduction of compulsory stops from four to three, there are new challenges for the team and driver and co-driver this time around. Cauchi explains. Download a full resolution copy of the #HinoHub here. The 2014 Championship winning engineer described Sandown Raceway as “a bit like a street circuit without the walls”. “It has big kerbs at turns two and can be bumpy on the exit of corners … the suspension takes a beating around Sandown,” Cauchi said. The most common issue for the cars at Sandown is vibrations, given the long straights and high speeds. Tyre life will be a key consideration given the amount of laps teams will have to complete on each set of soft Dunlop tyres. Fortunately for Red Bull, the cars have shown strong tyre life on the softer compound at recent events. Cauchi was mindful of giving too much away when talking about using the seven sets of soft tyres allocated for the weekend’s racing. “With seven sets of tyres available it gives us some interesting strategy options come Sunday,” he said. “The last time we were on soft tyre at Sandown was in 2011 and that was with the older generation car and 17-inch tyres. We have not raced at Sandown on the soft tyre since the NextGen car was introduced in 2013, so tyre degradation on the soft is a big unknown at the moment. One of the key questions is how racing on the soft tyre will affect the pit stop cycles during the race. “Previously on the hard tyre you could easily go a tank of fuel on one set tyres. At the moment we don’t know how much the soft tyre will degrade over a full tank of fuel. The primary driver only has one 30-minute run on Friday to test the car before handing over to the co-driver for the following two sessions. Rolling out of the truck in a good position will be critical for the main driver to get a good read on the car. “With main drivers only getting one 30-minute session on Friday it does make it more critical to roll out of the truck with a car that is close to our ideal setup window. 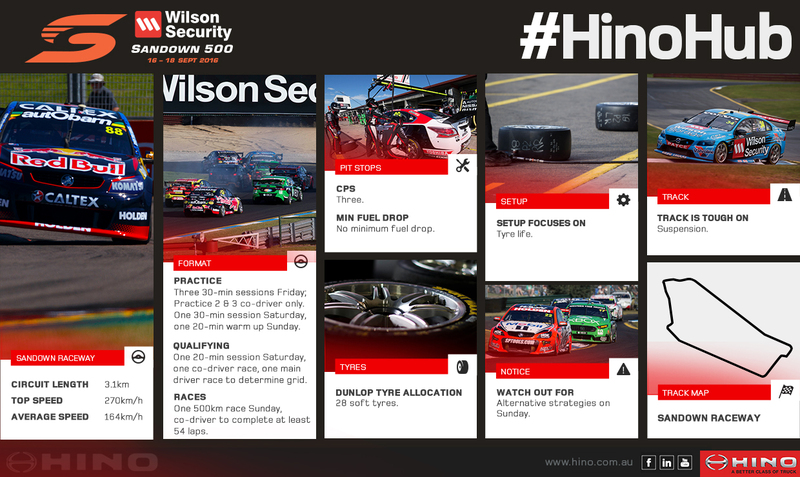 The unique format at Sandown means there is one all-in qualifying session to set the grid for a co-driver 60km race, which sets the grid for a 60km primary driver race, which then determines pole. “The qualifying races add a bit of spice to Saturday and qualifying the car comes down to both main and co-driver which is not the case at our other endurance races,” Cauchi said. While the races are only a short distance – 20 laps – they will try and learn what they can about degradation. Co-drivers will need to complete at least one-third of the race – 54 laps. 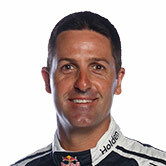 Cauchi believes teams will look to complete more than the compulsory three pit stops across the 161 laps. He says the change to the soft tyre creates more strategy options than reducing the CPS requirement. “The soft tyre could see cars electing to do more than the minimum three stops. We have seen taking an extra stop work for Car 888 on Saturday at Perth and cars diving in at safety cars late in a race and making up positions. Double stacking could affect the outcome of the race, though Cauchi reiterated that teams only do it when there’s more gain than staying out on track. The critical lap – to stop and make it home – is expected to be around lap 120.